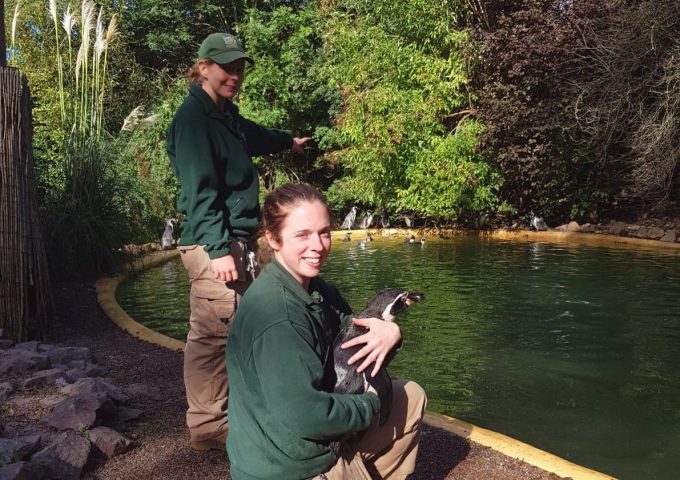 Bird keepers are p-p-pleased to reveal we’ve got 74 Humboldt penguins – including seven babies – after their September stock-take. Each September, once the breeding and moulting season is over, we take time to check over and count each bird in the colony, identify them by their flipper bands and scan their microchips. The seven newcomers, who were born this April and May, were also microchipped during the count and had colour-coded identity bands added around one of their flippers. DZG Head of Birds, Nicola Wright, said: “Our stock-take is a real team effort. We do it on a pool cleaning day and it takes us about four hours. “We get all the penguins together in the empty pool, which is quite deep and they can’t jump out, so we’re able to go through them one-by-one and scan them. Each coloured plastic bead threaded on a cable tie around the flipper represents a number code which remains with the bird throughout its life and helps us keep track of its behaviour, diet and health. DZG’s breeding programme, which scooped a prestigious BIAZA conservation award ten years ago, started back in 1991 and was headed by our now Zoo Manager Matt Lewis. He even slept in the penguin aviaries to give newly-hatched chicks round-the-clock feeds. 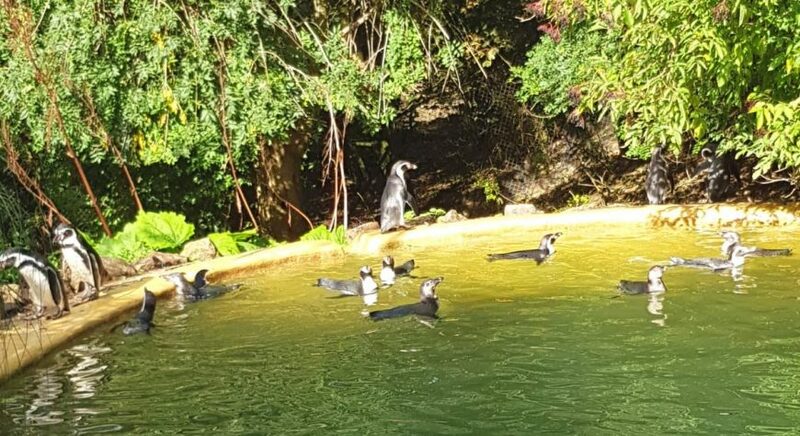 Today the Penguin Bay colony continues to go from strength to strength and many birds have gone on to start Humboldt groups at other animal attractions across the country. 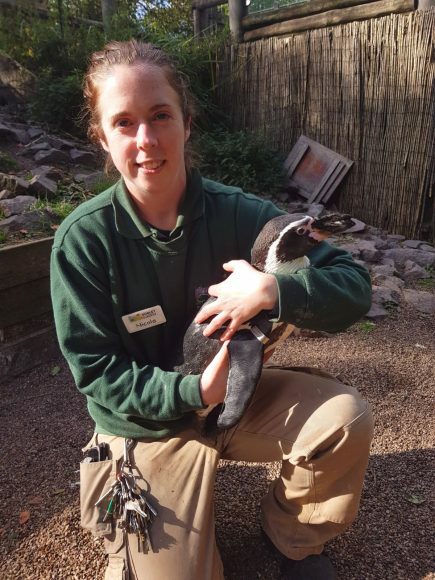 Last winter 10 of our penguins, along with seven from Newquay Zoo, were sent to form a new breeding group at the newly-opened Lotherton Wildlife World in Leeds. Humboldt penguins (Spehiscus Humboldti) are native to South America and named after the cold water current in which they swim. The species is vulnerable due to a declining population caused by over-fishing and habitat destruction. They can live up to 20 years-old in the wild and up to 30 years in captivity. Previous: A hundred babies on board!